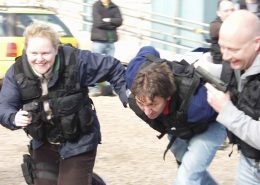 Your ‘Special Forces’ team will be given extensive training and the mission of rescuing a hostage held captive by a hostile group. 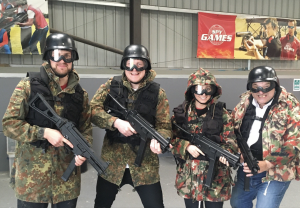 The team building event will include sniper shooting, close quarter battle with our air soft machine guns, pistol handling techniques, axe throwing and unarmed combat. The team must then plan and prepare for their operation whilst waiting for the green light. 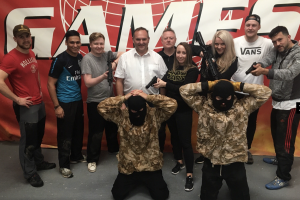 Can you carry out a successful mission and release the hostage unscathed! Having been issued with your Special Forces kit, you will spend ‘Phase One’ of the team build learning how to handle weapons under the control of our expert instructors. This includes the art of, sniper shooting, unarmed combat and axe throwing. Machine gun training follows with our air-soft assault rifles in a close quarter battle environment. Perfecting the methods of room clearance and operating in open areas. Pistol draw techniques will mean you are now ready for your mission. The hostage rescue team building event culminates by assaulting the enemy location, where you must maintain the momentum with a ruthlessly efficient rescue operation to release the hostage unscathed! Gun fire, smoke and pyrotechnic effects add to the thrill. For an added thrill we can arrange helicopter extraction giving the event the ultimate wow factor. 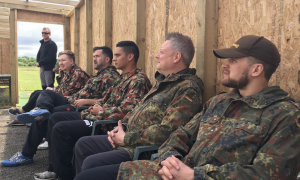 All our staff are experienced team building event instructors many with Military/ Special Forces backgrounds, so you can be sure that you will have a fun and exciting day in a safe and controlled environment. We recommend using our venue near Milton Keynes, however, the event can take place at any suitable venue in the UK or even worldwide (a site visit may be required). 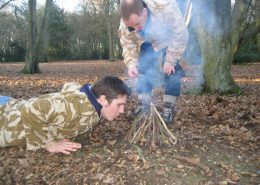 The whole team building event normally lasts approximately 3½ hours but can be extended for a longer experience. Lunch can be arranged prior to, or after, the event if requested. 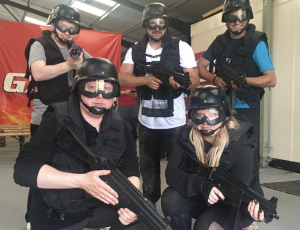 Hostage Rescue for team day out! "Such a great day!! 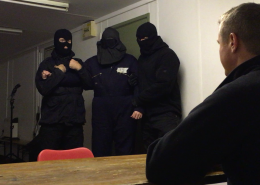 We had fun and laughed and learnt some great skills before moving onto the main Hostage Rescue event! It was great! I wanted to do it again straight after! Amazing day, the team are great and so professional and friendly! They laugh along with you and really get you involved! Highly recommend! Thanks from all the Team!"